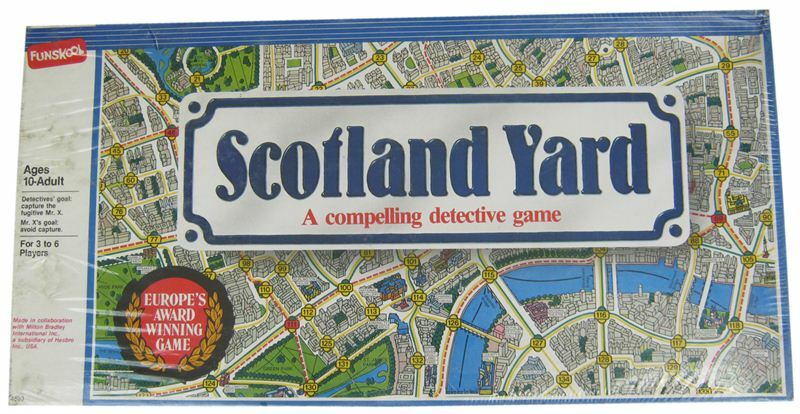 Scotland Yard is a very interesting deductive and cooperative game for up to 6 players. One player will play as Mr X the bad guy who is at a secret location on the map. The rest of the players will be detectives working together to deduce the location of Mr X. Contains: 1Street map gameboard,125 fare tickets,start cards and special move cards,special logbook and pad,6 plastic pawns.